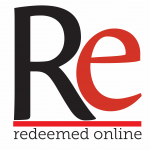 Redeemed Online is a first of its kind Catholic social media consulting agency that works to provide free resources to help both individuals and churches use social media as effective tools. Redeemed Online works with dioceses, non-profits, and larger churches offering services that include consulting, comprehensive social media strategy, and social media management and outsourcing. Ignoring social media doesn’t make it disappear; conversely, just being present on social media doesn’t mean you are reaching people. It wouldn’t be a stretch to say most churches are scared of social media. That fear may be that someone might say something nasty or accusatory about the church, the staff, or the pastor. To combat this fear, churches avoid social media. Don’t miss out on opportunities to repair relationships with people. Your presence as a church on social media allows you to be a part of the conversation and to shape it. RedeemedOnline was created with the belief that we can and must share the good news of Jesus Christ through social media. This rarely happens by accident. Companies and brands don’t just ask some kid whose dad works at the company to set up a Facebook and Twitter account. They strategize and plan on how they can best reach their customers, grow their customer base, and use social media effectively. Let’s not equate presence with strategy any more in the church. We need to be strategic, creative, and innovative if we are going to reach people with the Gospel in the online world. If this all sounds intimidating, you’ve come to the right place. Learn more about the services I offer here.